More than 20 million Filipinos will benefit clean water once President Benigno Aquino III signs the Tax Condonation Bill, which seeks to remove the conditions for the condonation of all unpaid taxes amounting to P842 million due from community-owned local water districts nationwide. When signed into law, the measure would help LWDs, especially those with no financial capability to pay their tax liabilities, to sustain and expand their operation, making it viable the supply of potable water and sanitation services in the remote areas. It will likewise augment LWDs’ facilities to meet the growing demands during recurring calamities. 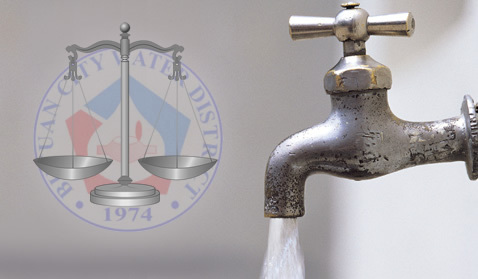 According to the Philippine Association of Water Districts (PAWD) Spokesperson Arturo Villasan, if the tax condonation will not be granted, they will have no choice but to assess their consumers with higher water price since LWDs have no provisions for tax in their tariffs. “Some LWDs might also suffer financial collapse,” Villasan said. LWDs, which are mandated by law to expand and develop their services, are the only Government-Owned and Controlled Corporations (GOCCs) that do not receive subsidy from the national government. LWDs are self-supporting as customer payments are their only fund source. They also source funds thru loans to the Local Water Utilities Administration (LWUA) and other financial institutions. In 2010, Congress passed what would become Republic Act 10026 which grants income tax exemptions to LWDs, in effect extending to them the same privilege government-run utilities like the Metropolitan Waterworks and Sewerage System (MWSS) was already enjoying. In addition, RA 10026 condoned the tax obligations of a local water district from August 1996 up to the time RA 10026 took effect in March 2010. It, however, imposed the condition that water districts who wish to apply for condonation must prove its financial incapacity to the Bureau of Internal Revenue (BIR). They were also required to submit to Congress a program for "internal reforms." Despite the submission by LWDs of these documents, the BIR did not issue the corresponding revenue regulations, rendering the law inoperable. Senator Ralph Recto, who authored the bill in the Senate, said that under RA 10026, the condoned taxes can only be spent by water districts for the improvement of their services like the purchase of equipment.